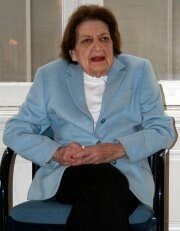 Media / News Helen Thomas's last dinner? A year ago I wrote at length about the Society of Professional Journalists and its Helen Thomas problem. Thomas, then 90, had made remarks that greatly troubled many SPJ members as anti-Semitic—I'd describe them as anti-Zionist, but not everyone believes that a serious distinction—and the SPJ leadership asked itself what, if anything, should be done about the organization's Helen Thomas Award for Lifetime Achievement. Should it be left alone? Should it be renamed? The executive committee voted six to one to leave the award as is, but retire it. Thomas's most passionate champion a year ago was Christine Tatum, a former president of SPJ's Chicago chapter, the Headline Club, and in 2006-'07 president of the national organization. Tatum posted a long commentary on Facebook headed "How SPJ lost the P in its name when communicating with Helen Thomas." Its focus was "the shameful way" in which SPJ treated Thomas while it was deciding what, if anything, to do about the award in her honor. On Thursday, Tatum posted another long Facebook commentary on Thomas. 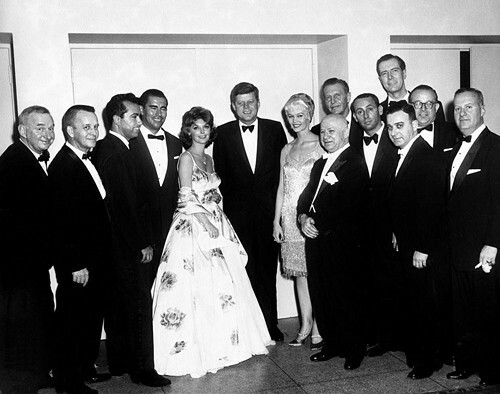 Fifty years ago, Tatum begins, Thomas, a White House correspondent for UPI, "convinced President John F. Kennedy to boycott the White House Correspondents' Association's annual dinner, saying that if women weren't invited to attend, he wouldn't be going, either." Tatum goes on to say that from 1978, when Thomas was national president of the White House Correspondents' Association, until 2010, Thomas bought a table at the annual dinner. But then she and other former WHCA presidents who do not still actively cover the White House were knocked down to a quota of two tickets each. The 2012 dinner is April 28. Jimmy Kimmel's the headliner. And Tatum, acknowledging that the rules are the rules, wants the WHCA to make an exception. "This year. Her anniversary year. The last year I think she expects—or even would wish—to attend this dinner," Thomas has asked for a table. And the WHCA has replied with what Tatum describes as "form letters" saying no. "Shameful. Truly shameful this is," writes Tatum. If you know where to look, you'll see that the WHCA does give Thomas credit on its website: "Until 1962, the dinner was open only to men even though the membership included women. That changed when, at the prodding of Helen Thomas of UPI, President John F. Kennedy said he would not attend the dinner unless the ban on women was dropped." Is this all the thanks anyone deserves 50 years later? Perhaps Kimmel can be asked to favor Thomas with a friendly zinger.